This post is a mash-up of two recipes from books currently sitting on my bench. Like many people reading cookbooks – specifically, baking books that consist mostly of sweet bakes, rather than bread – is my Thing. I get sent heaps of cook books in my Day Job and I borrow masses from the library so my house always looks like an outpost of the Amazon warehouse. Getting quite a workout is Margaret Fulton Baking: before Donna Hay there was Margaret Fulton, the queen of Australian baking. This woman, who I had the pleasure of meeting a few years ago, is such a powerhouse of cooking and is still passionate about teaching people to cook real food. The cake is from her book. The other hot fave is the new Naked Cakes by Lyndel Miller. So many lovely recipes, all gorgeously styled and the syrup is from here. I reduced the sugar in the cake as there is plenty of sugar in the syrup. 200g blueberries – frozen is fine. Preheat oven to 180C and grease a 22cm round lose-bottomed tart tin. In a large bowl stir together flour and sugar then add eggs, milk, rind, juice and butter – stir until combined. 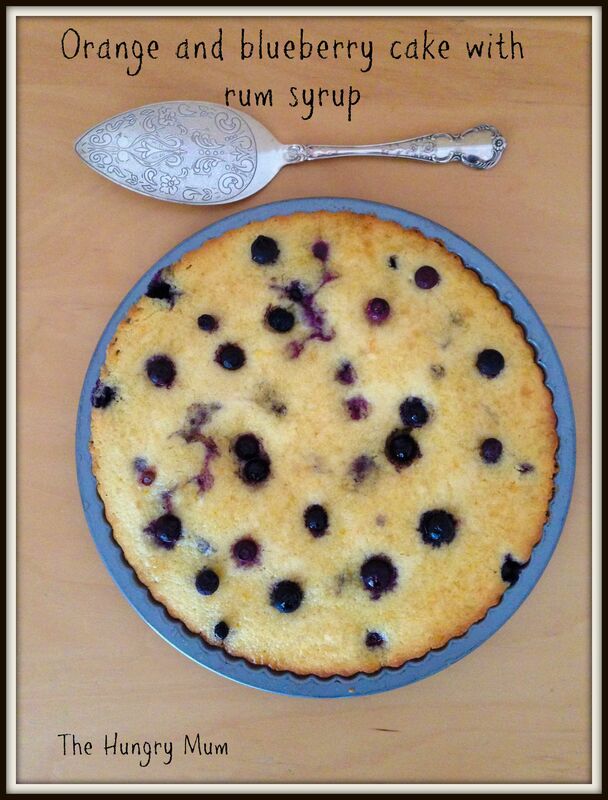 Scrape into tin and top with half the blueberries, bake for 20 minutes. Scatter over remaining berries then bake for another 20 minutes. Allow to cool for half an hour before tipping over the syrup – you may not need all the syrup but it will keep in a clean container in the fridge for at least a week. Place all ingredients in small saucepan and over a low heat, stir until the sugar has dissolved. Bring to the boil then immediately reduce heat and simmer for 15 minutes – you want a thick, soup-like consistency. Take off heat and allow to cool for 10 minutes before drizzling over cake. 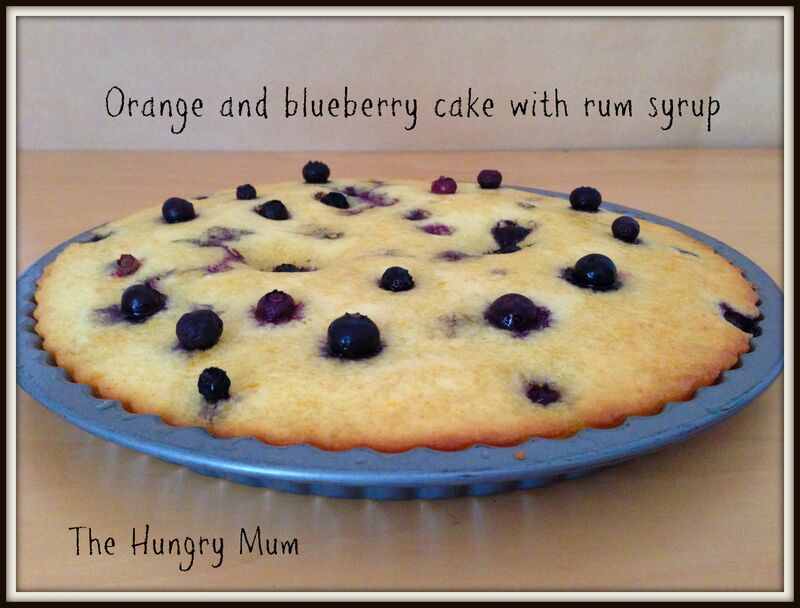 I also love the mix of blueberries and oranges .. yum .. Thanks. The Hungry Dad took this cake to work so I didn’t get to taste it but apparently it got rave reviews. I can’t believe you let this cake escape the house without diving into it by the fistfuls. Such a heady combination of fruit and spirit, I would not be able to wave farewell to such an edible piece of perfection. Definitely going on my ‘must make’ list! I know – I am a martyr to the cake cause! I actually made it to take to my office but then Miss7 was sick and I didn;t go to work. I would have def snaffled a peace then! Blueberry, orange, and rum – all wholesome stuff. 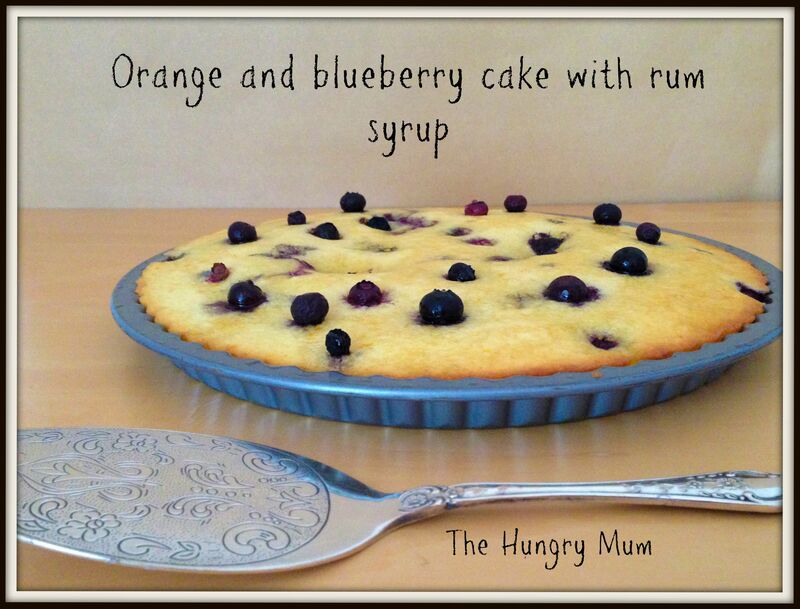 Blueberries, orange and rum – what a great combination! Saw the words ‘rum syrup’ and rushed over! 🙂 Lovely cake! Definitely a delicious mash-up, loving anything with alcohol…. because I love things boozy! I love everything in this cake! Yummy! You had me at ‘rum syrup’! Looks like the perfect combo! I need a piece of this gorgeous cake! Thanks Pamela! I love baking with citrus, the aroma as it cooks is gorge! Looks delish! And I love the cutlery there! Very vintage and classy! Thanks so much Marie 🙂 My cookbook collection is seriously out of control _ i need to cull it!